Appliance Repair Maple Ridge has been providing services for a long time. Our whole team is experienced and familiar with all types of appliances. We fix, maintain and install home appliances by utilizing our knowledge and using the right tools. When fridges, washers, dryers or microwaves stop working well, what interest homeowners is to see them repaired as fast as possible. Our company provides same day services and routine inspections, replaces the broken appliance parts and takes care of any problem. We are home appliance repair experts, properly equipped and fully devoted to the demands of all customers in the Maple Ridge area. Is the washer leaking? Did the dishwasher suddenly start overflowing? Just call our Maple Ridge Home Appliances Repair. We understand the frustration of dealing with such problems and home appliances, which are hardly of any use, and offer our services as soon as possible. Needkitchen appliance repairs? One of our specialists will be there to fix the stove, oven or refrigerator. We troubleshoot and fix all appliances in British Columbia so that you can enjoy them every single day. Did the garbage disposal stop functioning, too? Rely on our company once more. 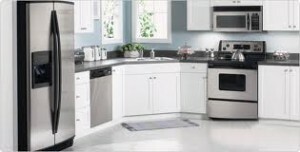 We offer small appliance repair. All home appliances are precious to you! Why let them break down? Trust our specialists for Home Appliances Repair in Maple Ridge today. We offer maintenance in order to keep them in good shape and help you avoid trouble. Why wait till the dishwasher is overflowing? Call us today! Need new home appliance installation? Our appliance service technicians are accurate, follow all specifications of the appliances and are compliant with all safety regulations. Depend on our team for all such needs. Our appliances repair team is an expert and always meticulous in every service. Don’t hesitate to ask our team’s assistance every time home appliances fail to work right.